What is a living organisation? Organisations that embrace the concept of living organisms optimise internal networks. This enables them to access the best talent and ideas to generate insights and develop value for customers. 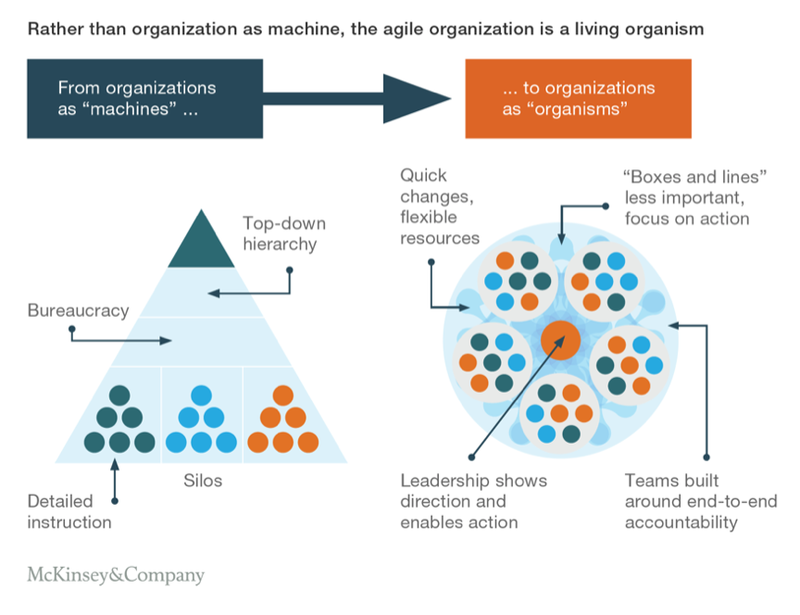 According to McKinsey’s research, agile organisations maintain a stable executive team, but replace the remaining hierarchy with a flexible, scalable network of teams. Networks are a natural way to organise work because they balance individual freedom with team collaboration. To build agile organisations, leaders need to understand tribal leadership, how to build teams and how to nurture and sustain them. Based on the survey, the biggest hurdle to agile transformation is culture. Yet agility is highly people-centred. Agile paradigms empower teams to do their best, leverage individual talents and interests and facilitate continuous learning and development. Agile organisations that combine any one of these network styles with a flexible, distributed approach to creating value in their respective industries can better identify and seize opportunities. They build a network of teams that quickly learn to make more informed decisions and generate value for stakeholders. In a traditional organisation, when a business unit encounters market disruption, their first response is to retrench staff. In an agile organisation, when pressure is applied to a network cell, research shows performance actually improves. Teams become more collaborative, entrepreneurial, creative and innovative. In short, they pull together to overcome the obstacle rather than pull apart. Studies also show agile organisations are 70 per cent more likely to appear in the top quartile of organisational health, the best indicator of future success. These companies are also more customer-focused, take products from concept to market more quickly, have higher revenue growth, lower costs and a more engaged workforce. Yet how can leaders quickly assemble the right skills, experience and knowledge, and match these to emerging business challenges? In large organisations, a lack of visibility into team members’ skill sets is hampering performance—as is lack of time and consistency. 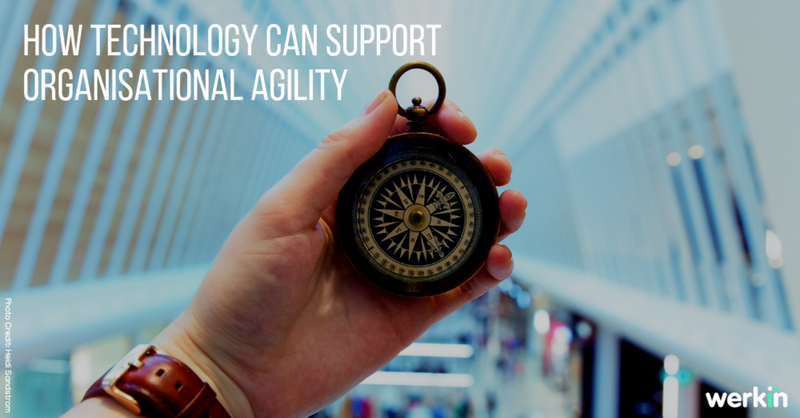 Technology can help leaders scan the organisation and build high performing teams on the fly. When teams can quickly find and collaborate with others that have relevant knowledge, they drive innovation. The organisation’s technology, people and processes combine to improve customer value. WERKIN’s technology-enabled mentoring platform enables team leaders to build cross-functional teams and missions on the go, using everyday connected devices. Team members create digital profiles of their skills, experience and achievements. Leaders set goals such as business challenges and stretch assignments. Algorithms impartially match expertise with goals and build multi-disciplinary teams. Complementary skills and knowledge flow within and through networked teams, preventing organisations from becoming obsolescent and irrelevant. Older PostEpisode 17: WERKIN with Melissa Di Donato on top tips for mentorship.